The Ritz cracker maker looks to have doubled its $2 bln investment in coffee maker Keurig, now merging with drinks group Dr Pepper. Mondelez’s gain is largely the result of others’ efforts. Pity Coca-Cola, which sold a stake in Keurig just as things started to get interesting. A Coca-Cola employee arranges a display at a store in Alexandria, Virginia October 16, 2012. Keurig Green Mountain, the privately held coffee maker, said on Jan. 29 it would buy Dr Pepper Snapple. Dr Pepper shareholders will receive a special dividend of $103.75 per share, or more than $18.7 billion in cash, and retain 13 percent of the company, which will trade as Keurig Dr Pepper. An investor group led by JAB agreed in December 2015 to acquire Keurig for $13.9 billion. Around the time the deal closed, Mondelez International took a 24 percent stake in Keurig for $2 billion, in exchange for a stake in its own coffee division. 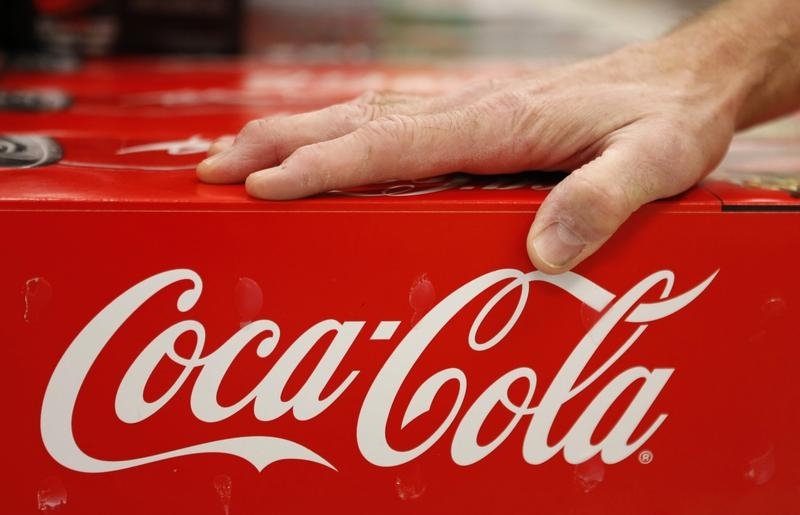 Coca-Cola, which had previously bought a 10 percent stake in Keurig for just under $1.3 billion, sold all of its equity stake at the time of the JAB transaction, and recorded a net gain of approximately $25.5 million. Mondelez will continue to hold a 13-14 percent stake in the enlarged company.